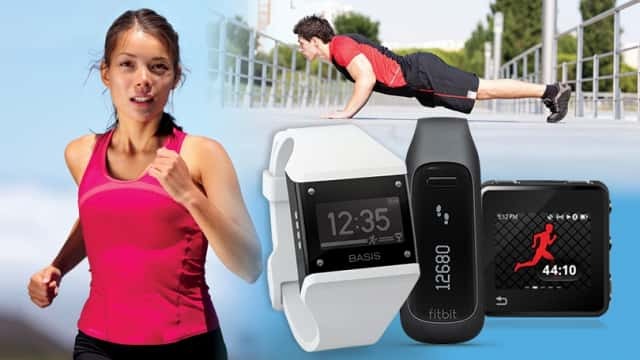 Fitness trackers are great for effortlessly monitoring your activity and health with an unprecedented level of accuracy. You can think of them as an electronic finger on the pulse that constantly measures your vitals, step count, and the quality of your sleep. The fitness band market currently features amazing devices, many of which actually do a good job at the basics of tracking. However, the focus of this article is only the best, and so should you. This article won’t look at all the techiest wristwear since the best smartwatch guide already does that by focusing on various devices including Samsung Gear 3 and Apple Watch 2. If you are looking to buy a fitness tracker, you have come to the right place for recommendations. The following guide shows you the best activity trackers currently in the market and show how each one ranks with regards to designs, price, stand-out features, and the quality of software you will be using on your phone. The TomTom Spark 3 is a fitness device that offers many amazing features for the wrist including music without the phone. With the TomTom Spark 3, it is possible to upload music directly, which means that taking your phone out with Bluetooth headphones while on a run is not necessary. The TomTom Spark 3 even offers route navigation, a heart rate monitor, and GPS tracking, which makes it the ideal wrist companion to wear while discovering new places and running around in areas you don’t really know. Writhings Steel HR merges the brand’s expertise in activity tracking with a heart rate monitor and still manages to maintain a discreet watch-like form factor. The device has a new digital secondary display that can be used for basic smartphone notifications, which means that you will always know when you receive an email or call. The silent alarm is another useful feature. Two different-sized models are available i.e. 40mm and 36mm diameters, which is first for the brand. This makes it easier for you to find a suitable watch for your wrist. If you would like a discreet tracker with heart rate measurements, the Steel HR gets many things right including the strong companion app and stylish design. The Samsung Gear Fit 2 has made major changes to the brand’s wearable line both in and out, resulting in a device that delivers value for money. One of the latest updates means that it will now work on Android phones along with all iPhones running iOS 9 and above. The Samsung Gear Fit 2 has a lovely design that looks great on a wrist and since it sports a massive, lovely AMOLED display you will be able to see all your stats clearly and nicely. The Garmin Vivosmart HR is a device that packs in all sensors that advanced fitness enthusiasts would ever wish for into a design that is subtler and more discreet than its rivals even though it is not necessarily inspiring. All the sensors are also quite accurate as you would expect. The Garmin Vivosmart is water-resistant to a depth of 50m, which means that you can swim while wearing it and you never have to take it off while you shower, which is more inconvenient that you might anticipate initially. It has a 5-day battery life, which makes it an advanced fitness tracker that you can simply put on and forget all about, but ready for the next workout session. Team up with some good sports gear, trainers and some orthotic shoes or insoles from OrthoticShop and viola – new you! Garmin has even included other useful metrics including the ‘Intensity Minutes’, which are great for motivating you to work harder. However, the Garmin Connect app is in need of a design overhaul. While there is a lot of data on offer, making sense of it all can be tricky initially.